Elderberries are one of mother natures strongest immunity boosters. They are extremely high in vitamin C and believed to help prevent or treat the flu. You can purchase commercially made elderberry syrup at most health food stores or HERE (affiliate link). 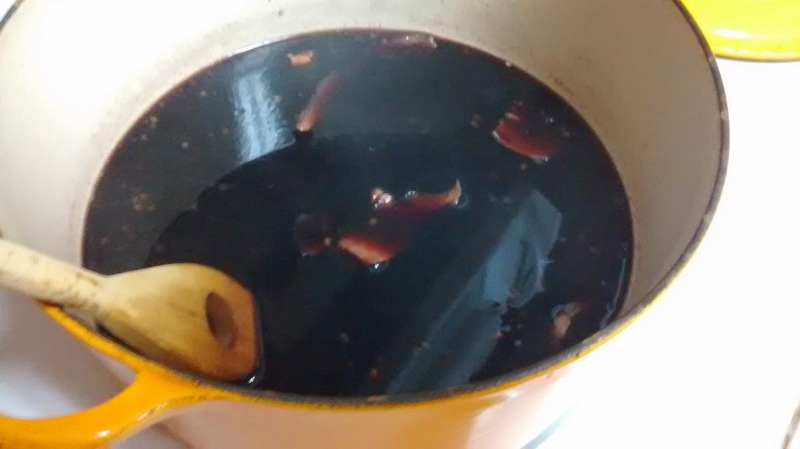 Add water, elderberries, ginger, cinnamon, cloves and lemon slices to a pot. Do not add honey yet. Do not cover the pot. Bring to a boil then reduce to a low simmer. Stir occasionally and leave to simmer for about an hour or so. You want the liquid to reduce to about half. Once its reduced, turn off the stove and allow the liquid to cool. 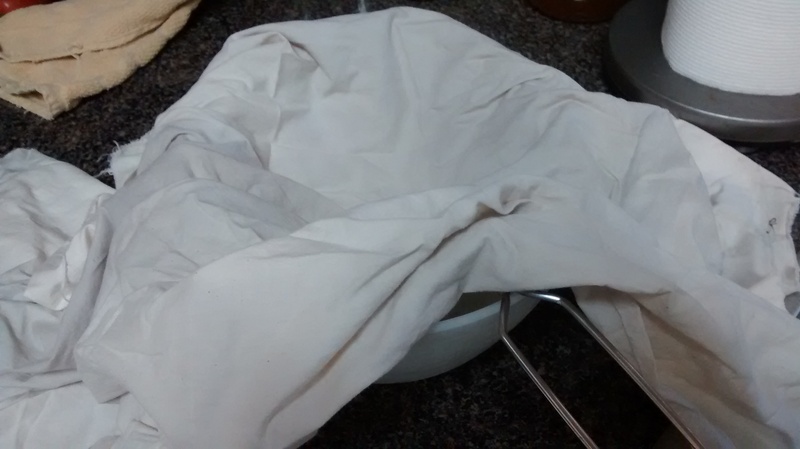 Drape a clean cloth over a bowl and pour the contents of the pot into the cloth. Allow it to drain. 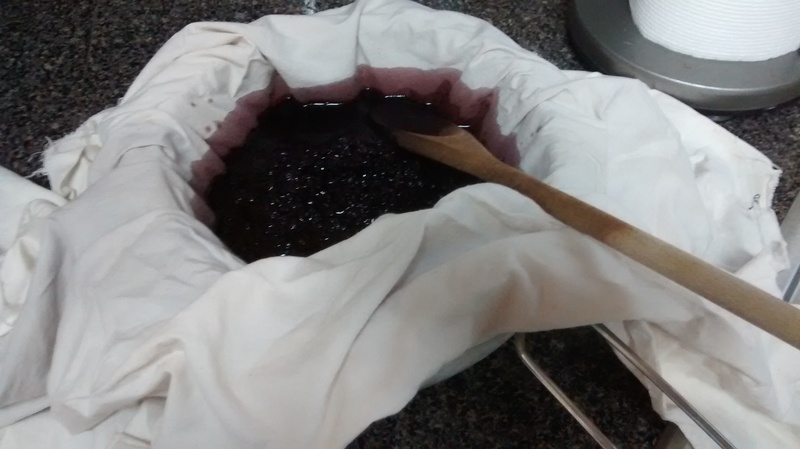 Pull the cloth closed then squeeze the remaining juice from the cloth, into the bowl. 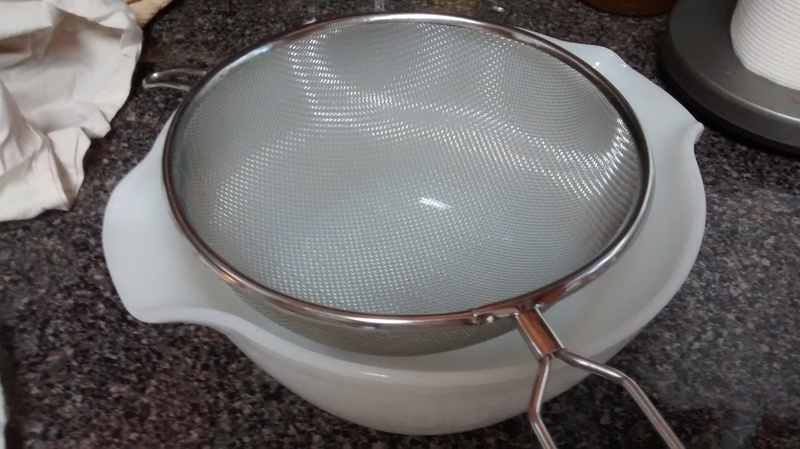 Compost the contents of the cloth, or feed it to your chickens. Add 1 cup of Honey to the liquid. Stir until honey has dissolved and mixed well. Ta-da! You now have elderberry syrup! Pour into a glass container. Keep refrigerated. Adults 1 teaspoon every 4 hours. Children 1/2 teaspoon every 4 hours. *This post was submitted in the Wild Crafting Wednesday Blog Hop. Check it out! ← Power Tools for Women. Review; Ryobi Tool Set. Don’t worry, Yvonne. You can get more. Where is the elderberry store? Follow the link (the highlighted ingredients) to purchase online. Some health food stores carry elderberries. Great post. 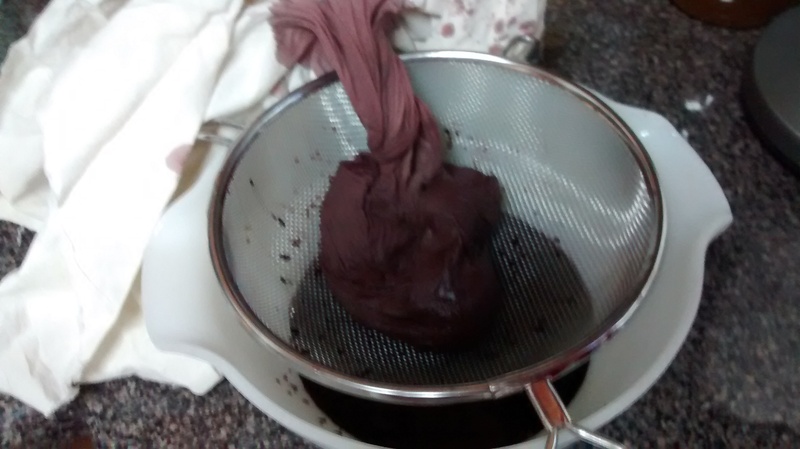 Love Elderberry Syrup – it’s a must have in my kitchen this time of year. Congrats on being chosen as a featured post on this week’s Wildcrafting Wednesdays! I hope you’ll join us again and share more of your awesome posts.